Women's business shirt in gray golf ball dobby weave, which refers to the fabric structure resembling the structure on a golf ball. With its exclusive luster and smooth surface this is a dress shirt that simply has to be experienced. 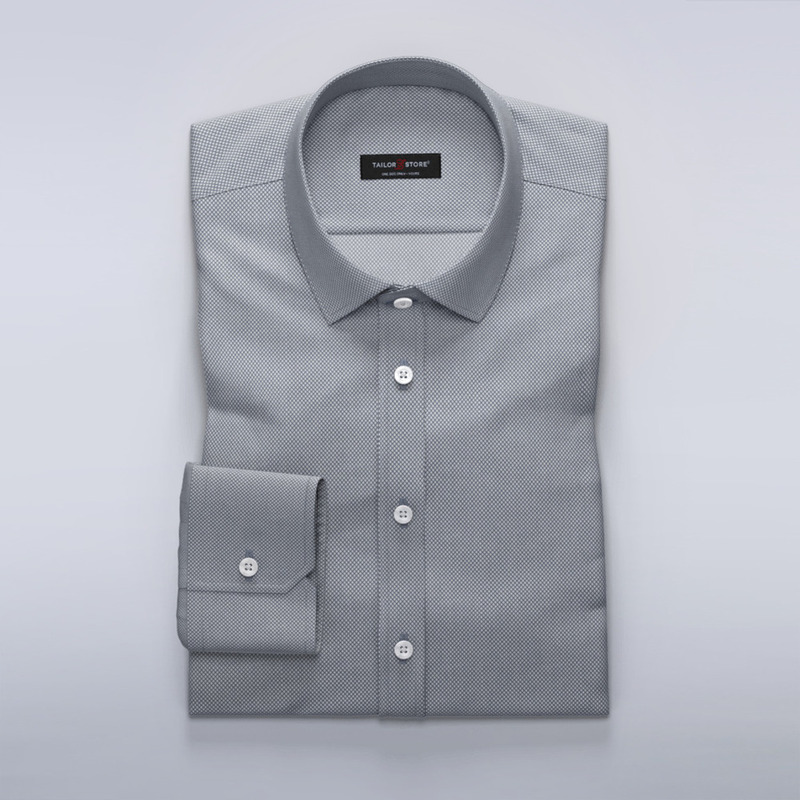 Make Montclair your next stylish business shirt or let it be the focus point of any outfit, any day. This is a dress shirt guaranteed to be a new favorite. Made to your measurements.